Hi, I'm Mara. A Filipina-French who grew up in the Philippines and comes back to visit her dad every year. Enjoy! 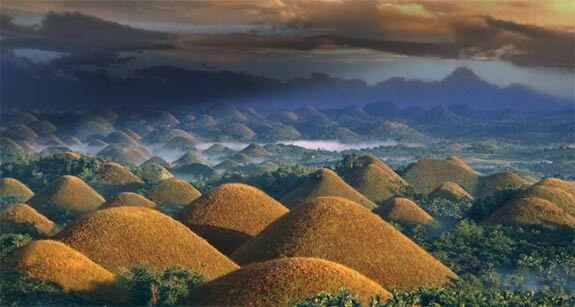 The Philippines are 7,000 islands with a variety of landscapes from beaches, mountains, to sky rises. We're a former Spanish and American colony, with strong cultural influences from Asia, Europe and America. Filipino radio is American-English mixed with Tagalog, or, Taglish. 40% of Tagalog language is derived from Spanish. We say coche (car, spelled "kotse"), basura (garbage), and gerilya (guerilla). 90% of the Philippines is very religious—catholic—with 10% muslims in the South. We're Asians who love food, fiesta, siesta, San Miguel beer, Jesus Christ, playing guitar and singing. We're pretty much the Latinos of Asia. 2. You can be alone on beaches. Filipinos don't like to tan, and there's 7,000 islands, so, yeah, there's space. 3. Filipinos speak English! It's the national language. So you can always find your way and have conversations with locals around a beer. 4. It's super affordable. $6 gets you a great meal at a restaurant. Locals can spend $2 on their meals. Street food office lunch would be $1, and it's good! $3 for a cocktail. 5. Filipinos are generous and honest people. They won't take advantage of you because you're a "stupid tourist" ;) EXCEPT some cabs. Take Uber. 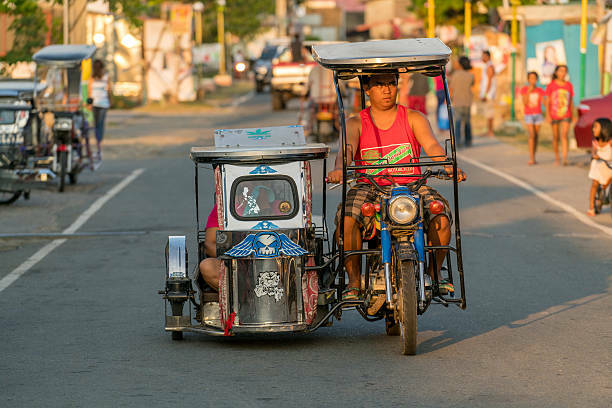 You will be riding these awesome vehicles: jeepneys, bankas, and tricycles. 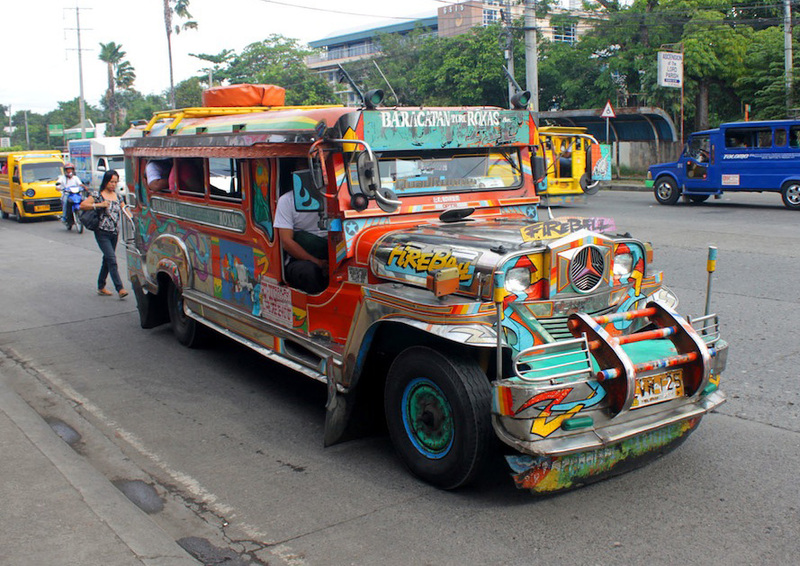 Jeepney names are the best. They name them after religious saints, themselves, romances, or to make a point, like "King of the Road" or "Gift of God." 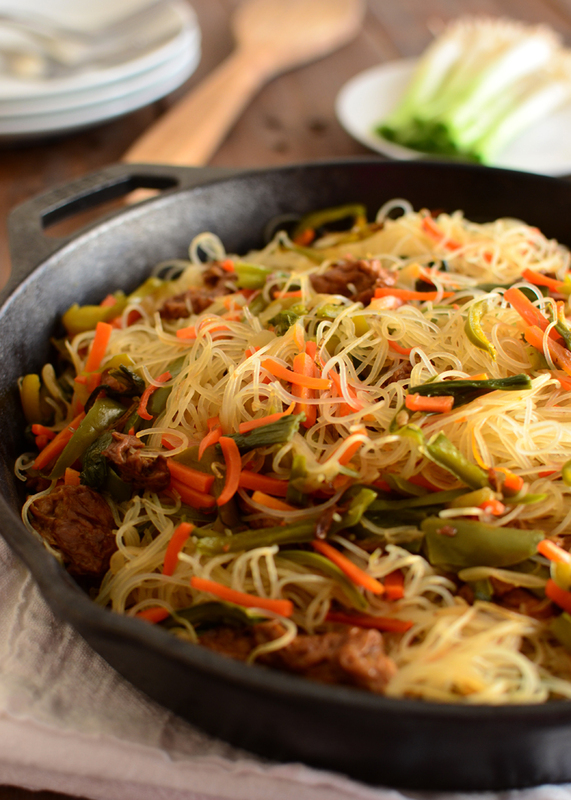 It's a mix of Asian and Spanish food. 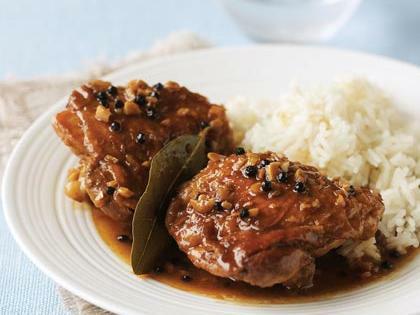 You eat rice at every meal. Breakfast: rice + egg + marinated meat (try Langanisa or Tapa, SO GOOD!). 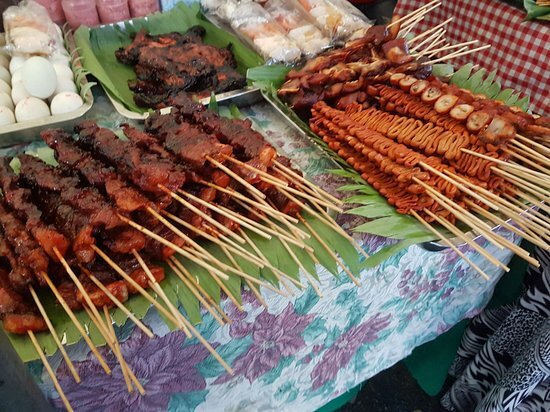 National dishes: Chicken Adobo (it's the Filipino boeuf bourguignon), Pancit (like a Filipino Pad Thai), Sisig, Lechon (roasted crispy pig, for special events). 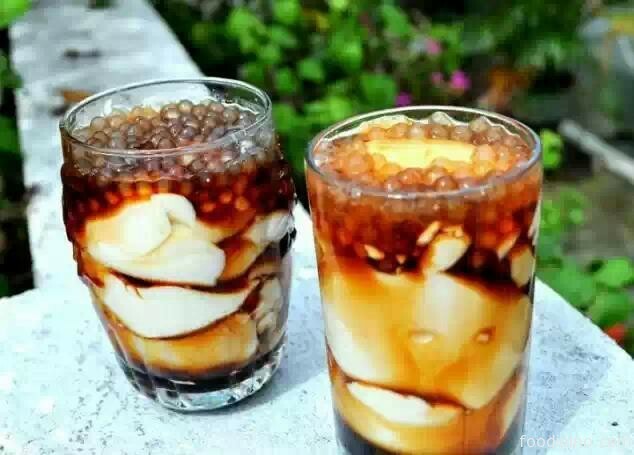 Street food: fish balls, Taho (a caramel, tapioca ball and tofu dessert) and Turong (a fried banana spring roll). Hmmm! 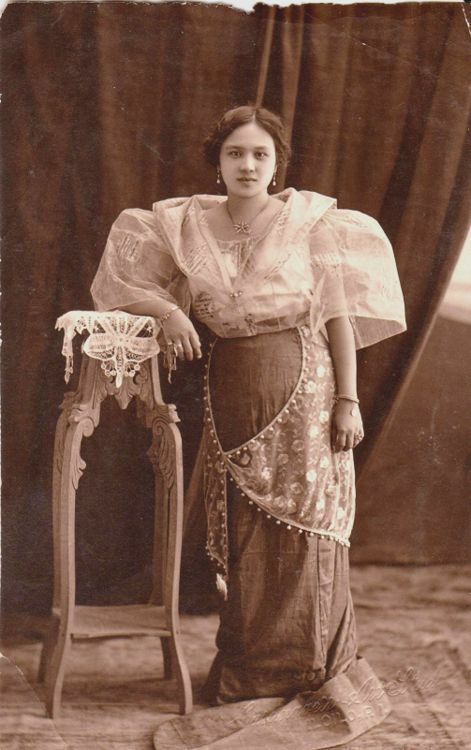 There are 8 major dialects in the Philippines, and as many cultures, costume and food styles. 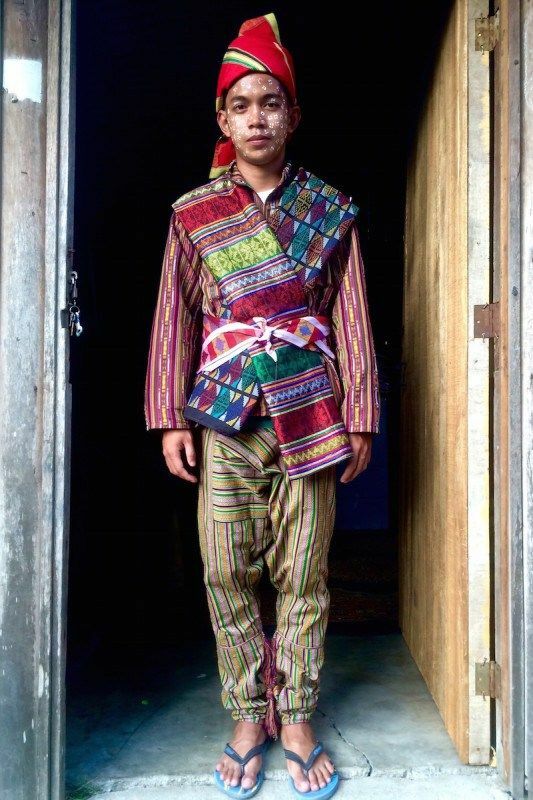 People do NOT dress like this anymore but these are some of the beautiful traditional clothing that is influenced by local tribe culture and the Spanish colonization. 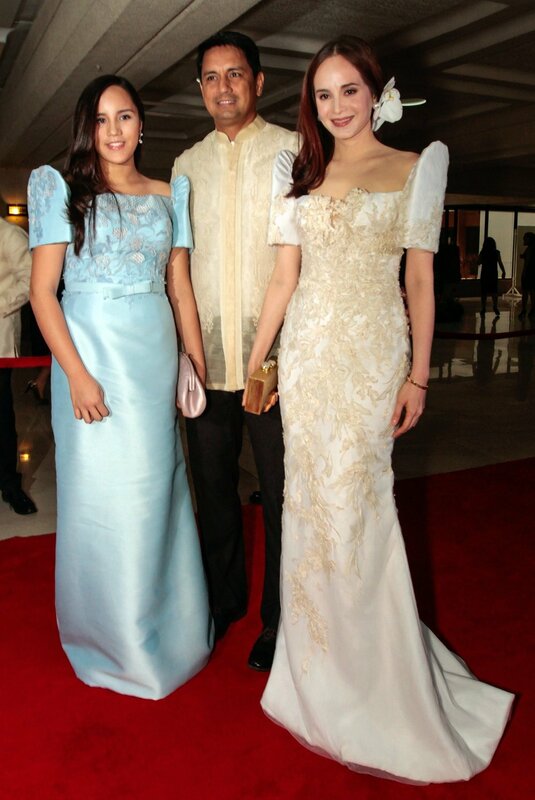 Filipinos now look more like this. Normal people. Who love to smile and have a sense of humor. Even during typhoons and floods. 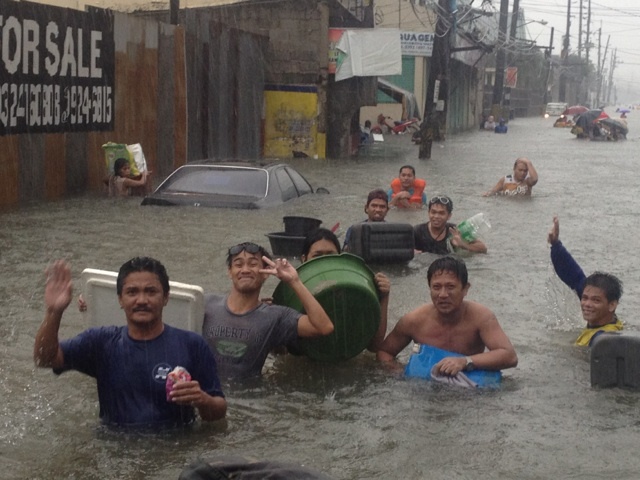 Filipinos literally laugh in the face of danger. Palawan has unique landscapes with rocks shooting from the water. 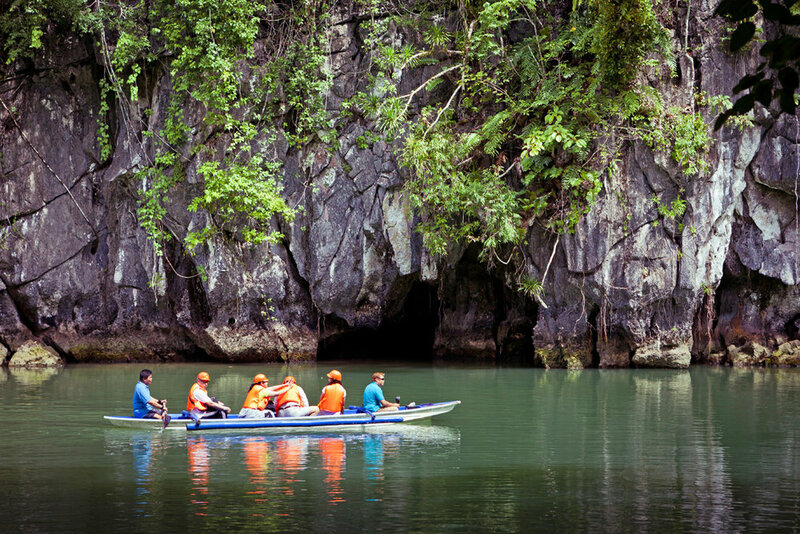 Palawan is situated on the same geological plate as Vietnam, which explains why it's different from the rest of the Philippines. These used to be caverns in the ice age whose roofs collapsed since. El Nido, Coron, and Puerto Princesa are the main airports. It's an 8-hour drive to go from one area to the other and there are no connecting flights, so pick wisely. 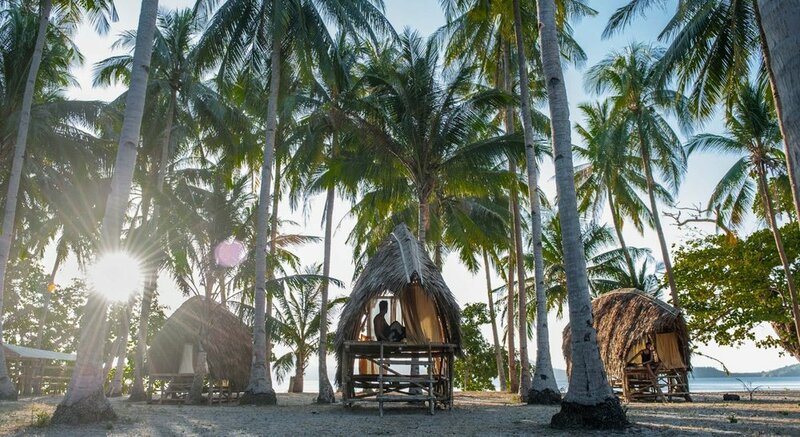 This is a TRULY magical experience which I highly recommend if you don't want to overthink your itinerary, and want to spend time with islanders. 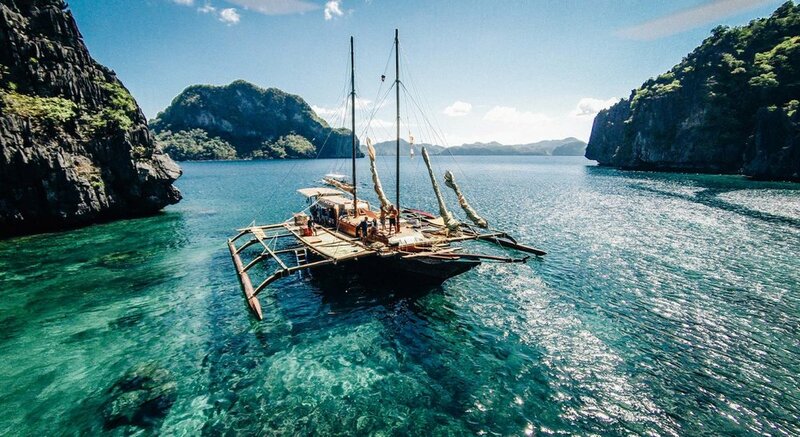 If you're a couple, do a 5-day expedition that brings you from El Nido to Coron. You will disconnect from technology, snorkel, eat fresh food fished from the morning and cooked by the boatmen, sleep in the most amazing minimalist huts by the sea on islands with no electricity, see underwater boat wrecks, learn how to make sushi so fresh from the sea the fish is still warm—and see how your money helps local communities develop. If you have to pick one, this is a good place to start. Activities: island hopping, snorkeling, kayaking. I've never been to Coron but it's considered to be the more virgin El Nido. More raw, rustic and beautiful. It's not about the beaches and fancy resorts over here. From Manila, you can take a flight to Puerto Princesa (cheaper than El Nido). Never been kayaking in these caverns but I will next time. From Puerto Princesa to El Nido, it's an 8-hour van ride. We did 4 hours from Puerto Princesa to get to a tiny island (only 12 huts) called Modessa Island Resort, which is affordable and quaint. Stayed a couple of nights, and finished the remaining 4 hour van ride to go to El Nido. If you're single or with friends, this is the place to go for more action/partying. Lots of bars and activities on this island with sand that almost feels like powder milk. 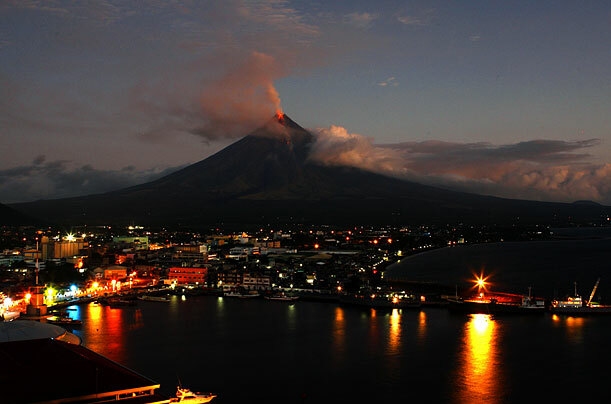 Probably the most touristic place in the Philippines, but that includes local Filipinos as well. 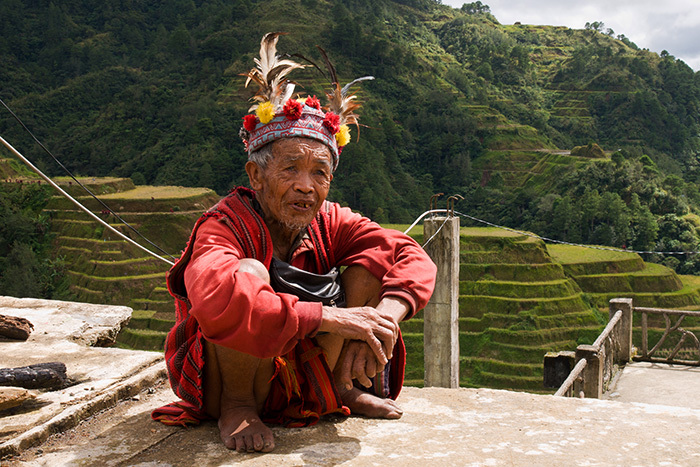 Its 2,000-year-old beautiful rice terraces are a UNESCO world heritage site, created by the Ifugao (local natives). Really cool to do a 3-day trek there and sleep in the locals' villages before moving to your next village through the mountains. It's an 8-hour night bus from Manila (AC is blasting so wear winter clothes in the bus) and you can find a guide as soon as you arrive there in the morning. They come with photos and tour options for you. Yeah, I know Magellan seems like "an explorer" in Western text books. But he was a colonizer forcing his religious agenda. 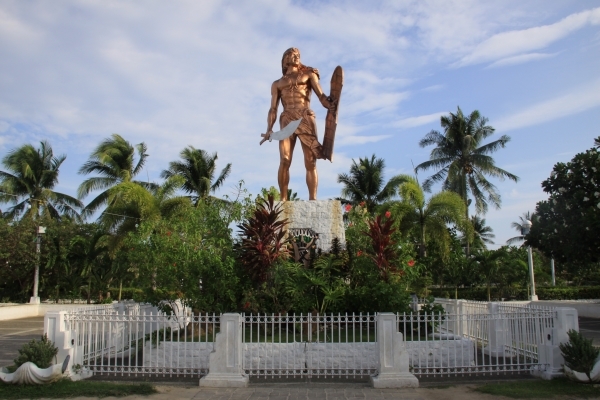 He attacked this badass tatted tribe in 1521, was stunned by a poisoned arrow, and Lapu-Lapu finished him. He's a national hero. 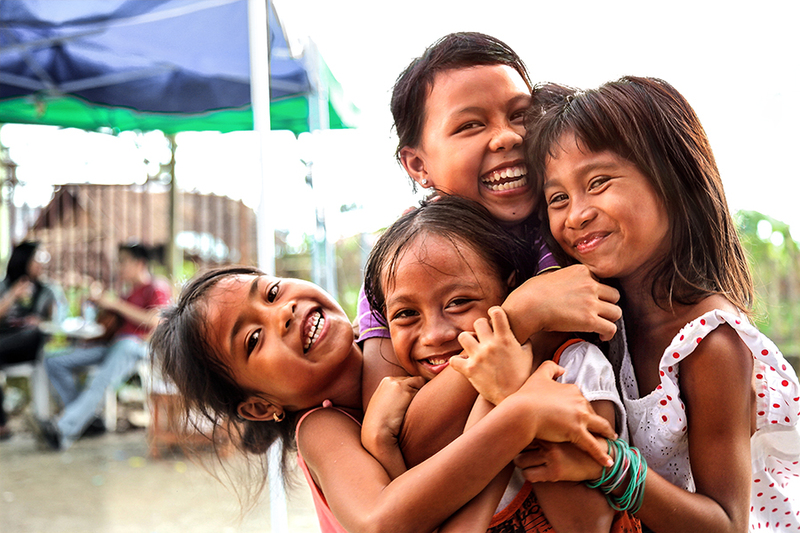 The Spaniards since adopted a more peaceful approach to colonize the Philippines— by offering hospitals and schools. Smart. This seems so awesome. 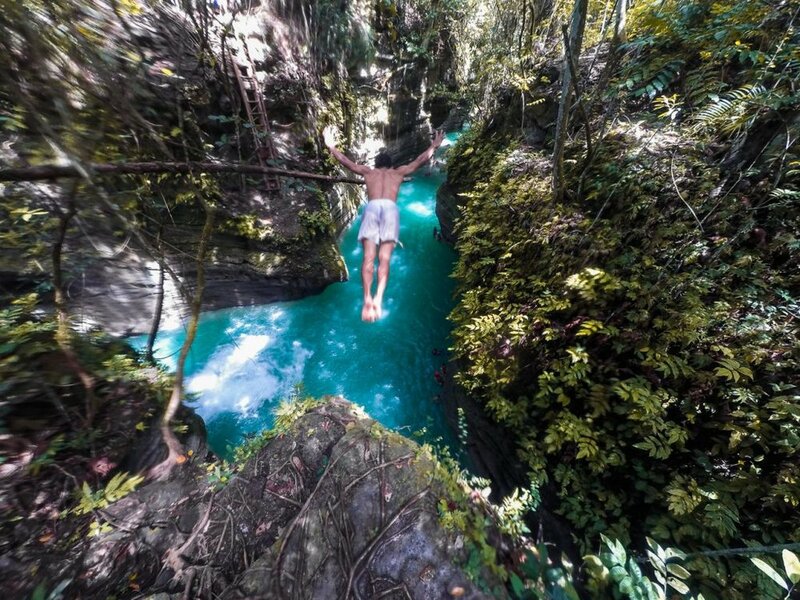 The goal is to jump, fall and swim into a series of Gatorade-like pools one after the other. 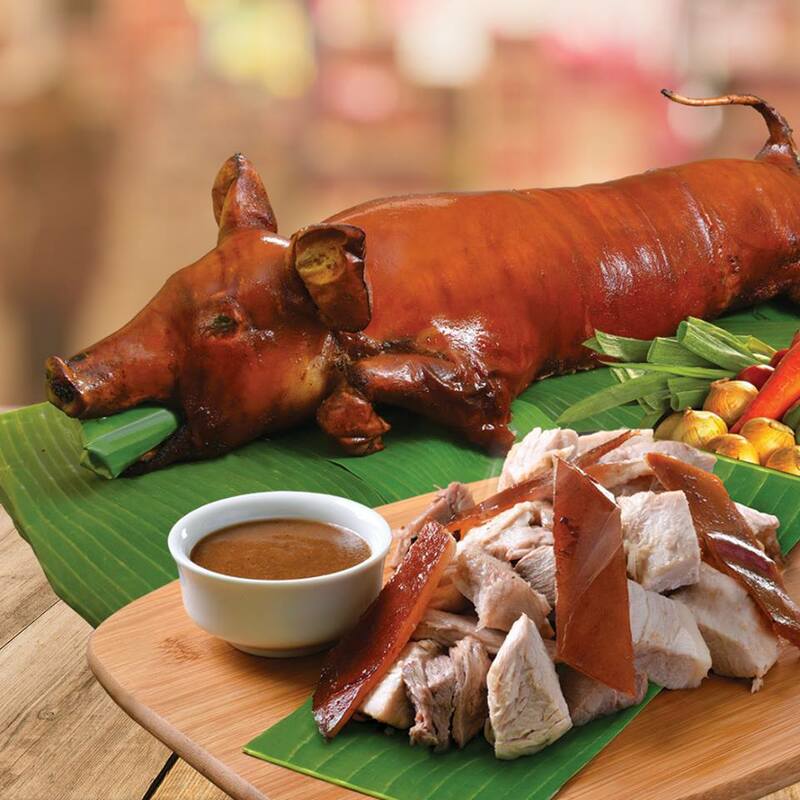 Also, Anthony Bourdain says Cebu Lechon is "the best pig ever." 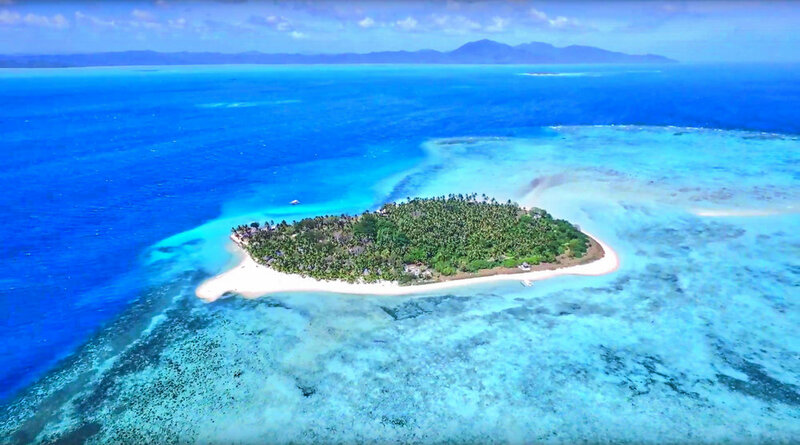 Google your way to find the best beaches: Sumilan, Malapascua, Camotes... Here's a selection. I recommend you stay at least 1 full day to learn about the history of the Philippines and see something else than beaches and touristy areas. 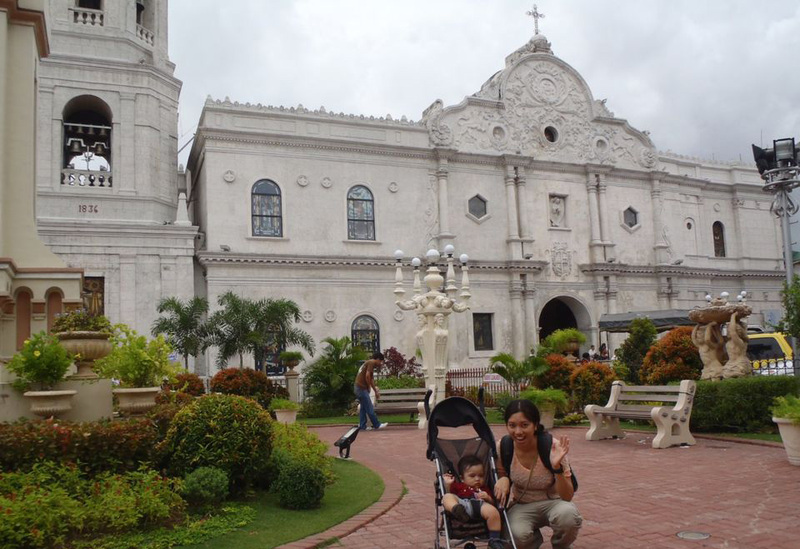 I would do 1 day in Makati, and a half day in Intramuros to visit the old historical city. 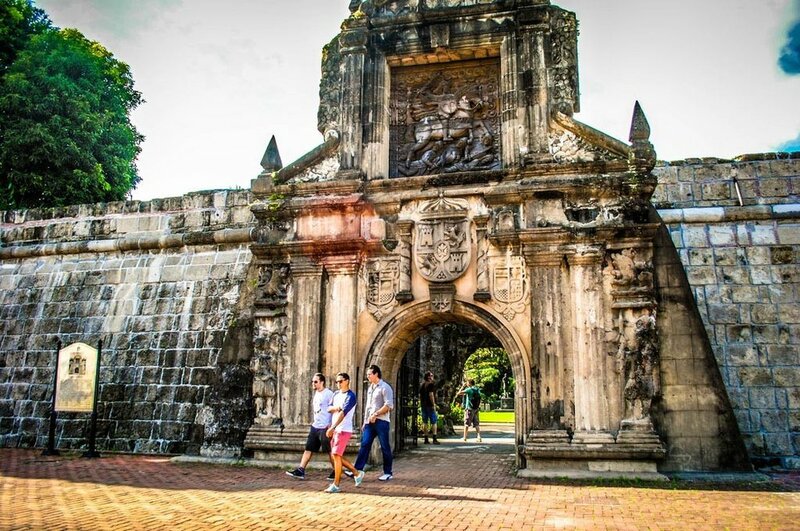 Intramuros was the first city and seat of political/economical power during the Spanish Empire. 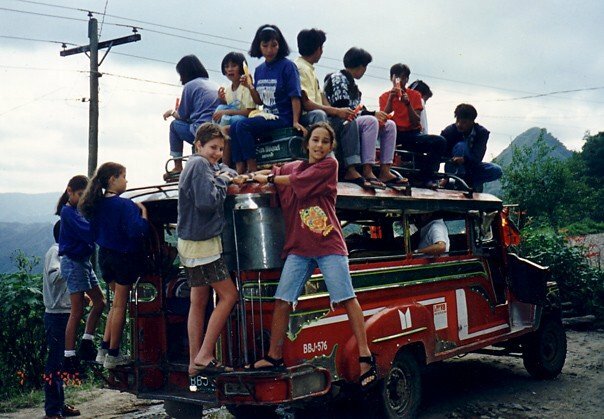 The way of life in Intramuros became the standard throughout the Philippines. 👉 Check out Casa Manila, which depicts colonial lifestyle during Spanish colonization of the Philippines. 👉 Check out the Jose Rizal museum. A poet and an intellectual who become a martyr—framed as the leader of Filipino rebellion against the Spaniards. His death indeed led to a revolution. 👉 Have a drink on the rooftop of Bayleaf Hotel for sunset, for a view of the city and Manila bay. 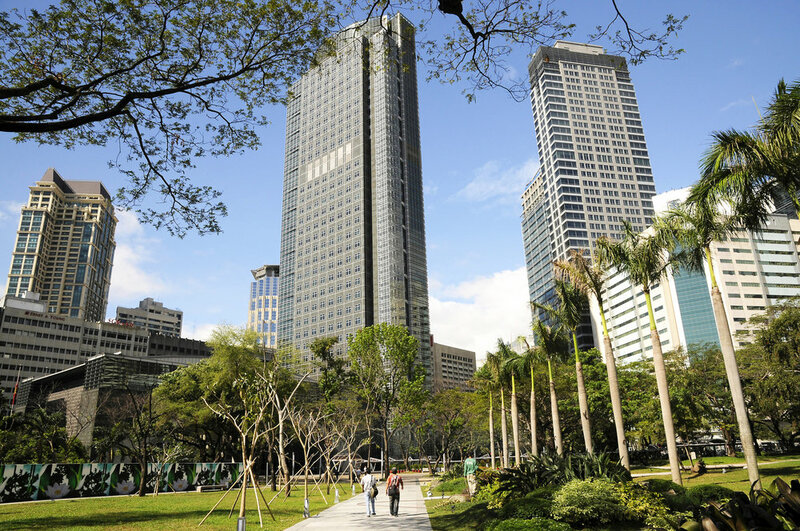 Salcedo Village and Legaspi Village are an area in Makati with many office headquarters, residential buildings and trees are. 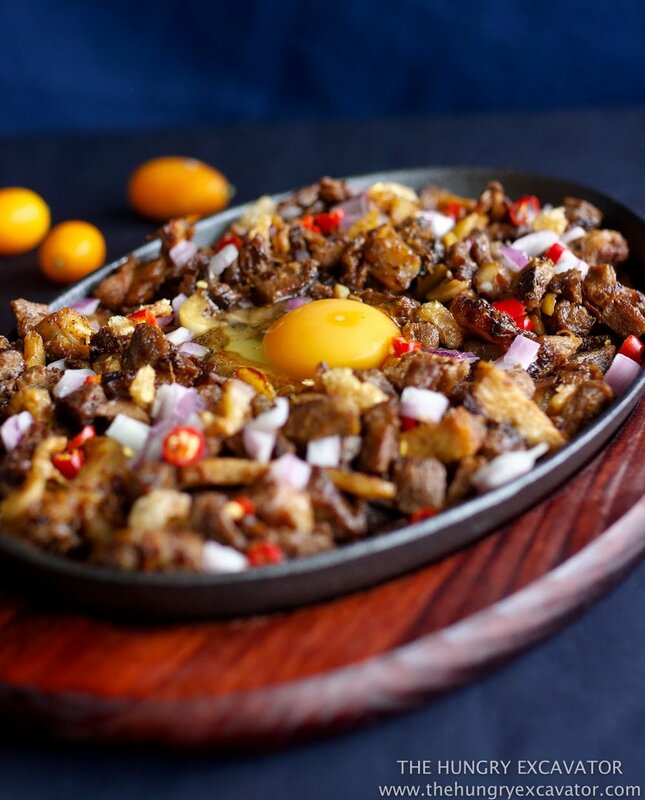 Walk around and find the Salcedo Market on Saturday or Legaspi Market on Sunday, for a late breakfast/early lunch. 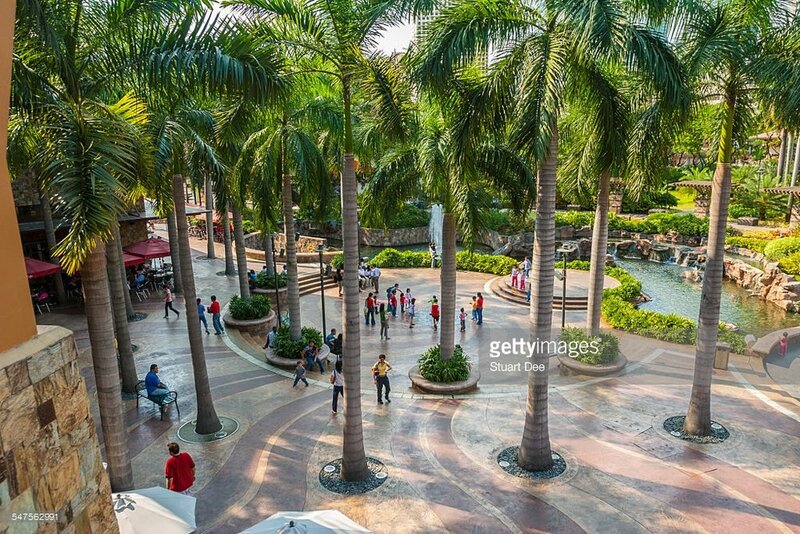 From Salcedo Market, pass by Ayala Triangle Gardens, then Makati Avenue, to arrive at Greenbelt, which is a park surrounded by malls. 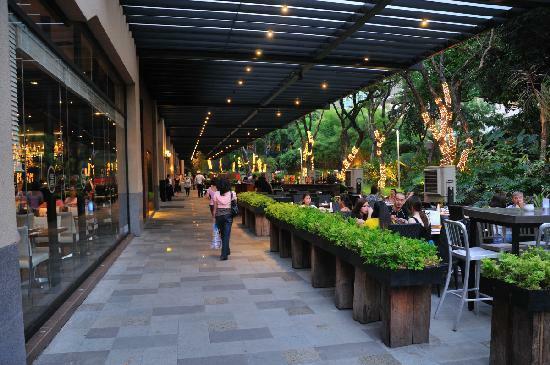 Go there to check out shops and the Ayala Museum. This is in my opinion the coolest history exhibit EVER. They created sculpted scenes that explain the history, called "Dioramas." Take the audio guide. 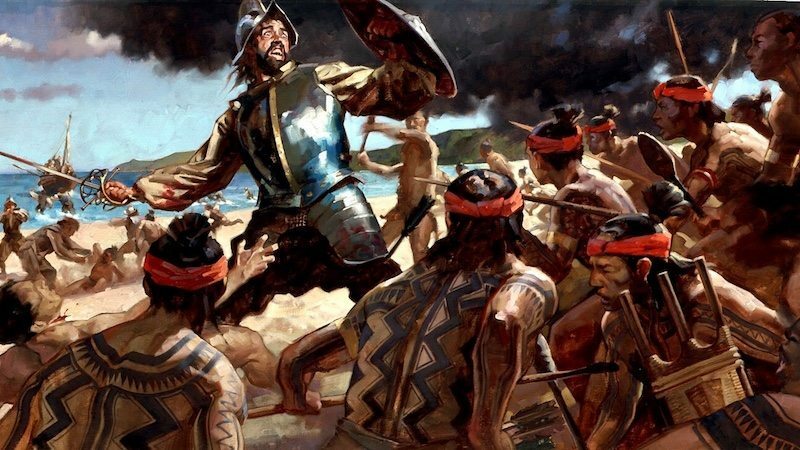 Did you know that a) Filipinos killed Magellan during the Spanish colonization? and b) that Americans committed a genocide in the Philippines during the colonial war of 1899-1902, killing between 200,000 to 600,000 civilians on top of soldiers? Don't get me wrong, Filipinos LOVE America, so, we're pretty good sports when it comes to forgiving genocides. 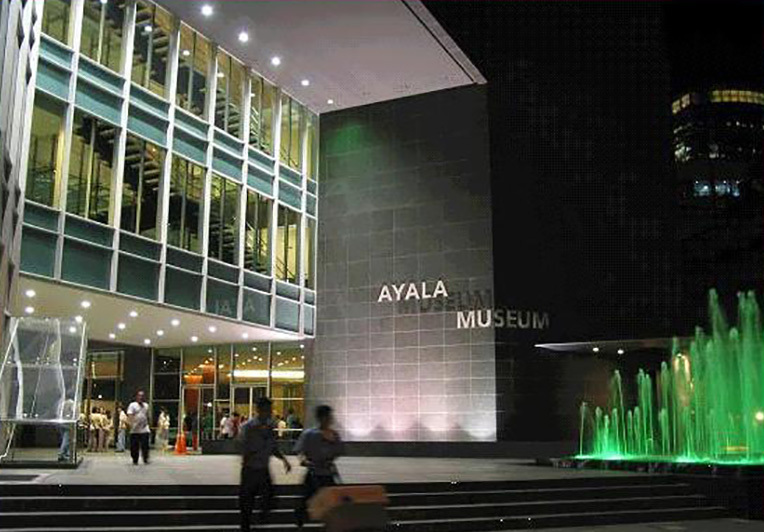 👉 www.ayalamuseum.com — Plan for 3 hours there. 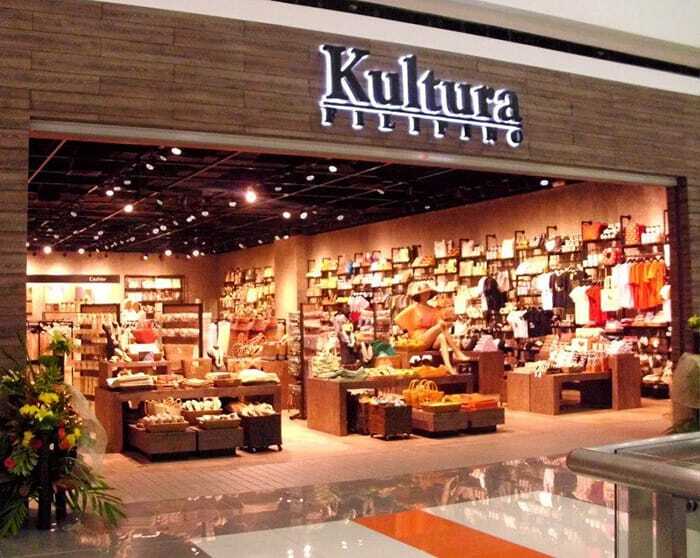 It's a store for amazing Filipino craft. Clothing, house stuff, coconut oil for massages, Filipino snacks, gifts. Not far from Greenbelt and Ayala Museum. This is basically the Brooklyn of Makati. A neighborhood close to the red light district that has become gentrified. And guess what, that was literally where I grew up. But back then, it was not cool at all. Check out Felipe Street for restos and Z Hostel for a nice low-rise rooftop, nice music and drinks. Art residency built in an old Filipino ruin that's been restored. French and Filipino artists give the public a glimpse into the creative process through performances, exhibitions, and live painting. This is just an overview of the main places, but I left out volcanos, surf spots, the south of the Philippines. Next time! ok but who is this person. I'm Mara. I'm half Filipino, half French, and grew up in Makati for 14 years before leaving to Paris, Toronto and now New York. 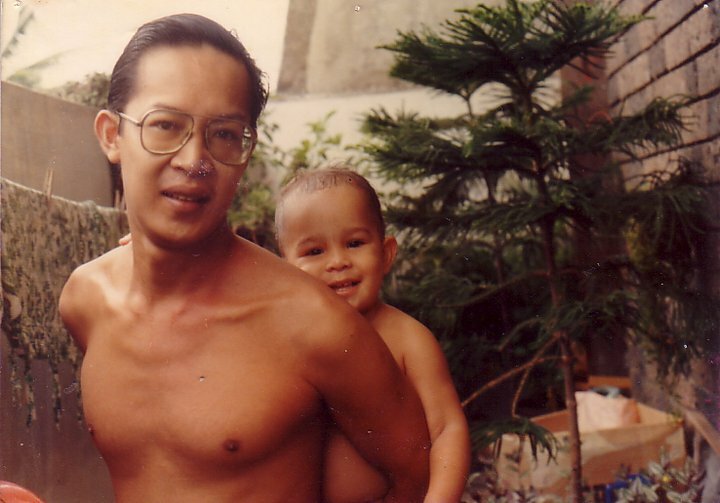 I go back to the Philippines every year to see my dad. Did I miss anything? Get in touch. Also, check out New York from kind-of a local, or Paris from kind-of a local.